Deputy Prime Minister of the Republic of Poland, Minister of Culture and National Heritage Piotr Gliński and Director of the State Museum at Majdanek dr Tomasz Kranz invite to the commemoration ceremony of the 75th anniversary of the prisoners’ uprising at the German Nazi death camp in Sobibór. We participate in a project ‘Poland. See More - Weekend for Half Price’ organized by the Polish Tourist Organization and the Ministry of Sport and Tourism. 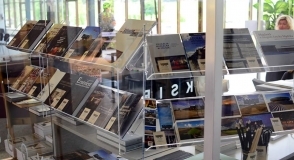 Within its framework, we offer selected museum publications with a 50% discount. 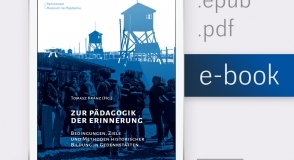 The State Museum at Majdanek has just released its recent publication on the subject of education at memorial sites. The publication 'Pedagogy of remembrance. 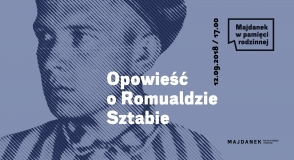 Theory and practice of education in martyrological museums', edited by Tomasz Kranz, contains materials from the international conference organised by the State Museum at Majdanek in October 2017. The State Museum at Majdanek cordially invites teachers from primary, middle and high schools to the third edition of methodological training for extracurricular historical education in post-camp memorial sites: ‘Tell about us, nameless...’ It will take place on 6th of October, 2018 at the Visitor Service Centre of the State Museum at Majdanek in Lublin. 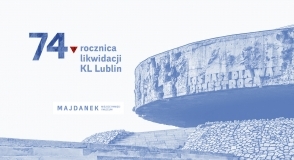 The State Museum at Majdanek and Hieronim Łopaciński Provincial Public Library in Lublin cordially invite to the next meeting of the cycle “Majdanek in family memory.” This time, our guest will be Ewa Sztaba-Chmielarz, daughter of the former Majdanek prisoner Romuald Sztaba. The event will take place on September 12, 2018, at 5 p.m., in the Hieronim Łopaciński Provincial Public Library at Narutowicza 4 Street in Lublin. 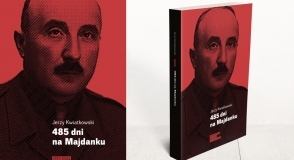 The State Museum at Majdanek and History Meeting House cordially invite to the launch of the book “485 dni na Majdanku” [485 Days at Majdanek]. 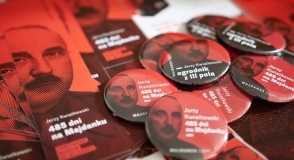 The newest Museum publication is the third edition of memoirs by Jerzy Kwiatkowski but for the first time it is free from censorship and excessive editorial modifications. The accounts written by a Polish political prisoner of KL Lublin are one of the most important reports on the camp functioning. 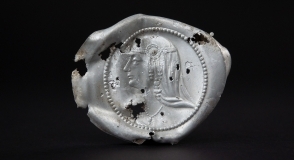 At the end of July 2018, further conservation works were completed, involving objects coming from excavations on the premises of the former German Nazi death camp in Sobibór. 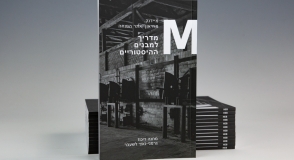 The publication "A Guide to the Historical Buildings" is now available in the museum bookshop in three new language versions: Russian, Hebrew and French. 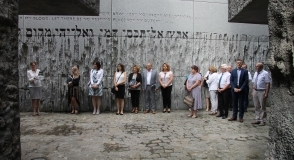 A Mass for the victims of the German Nazi concentration camp at Majdanek started the 74th anniversary of KL Lublin liquidation. It was participated by the former camp prisoners and representatives of the local authorities. We have introduced a new service for our guests. On determined days in July, August and September, individual visitors will be guided through the grounds of the former German Nazi concentration camp. The last group of 800 prisoners, escorted by the SS, left the German Nazi concentration camp at Majdanek in Lublin on July 22, 1944. This event marked the final liquidation of the camp operating since the autumn of 1941. 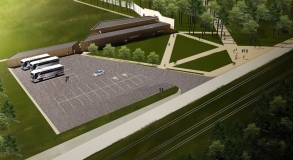 Construction work on the grounds of the Museum in Sobibór – branch of the State Museum at Majdanek – start this week. The area of the former German Nazi death camp will be closed to visitors until further notice. Students from the State Police School in Hamburg visited a few museums and historical sites commemorating the victims of World War II and Nazi crimes. 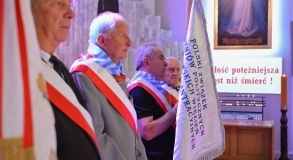 Their visit was related to the events from 76 years, when the Hamburg Reserve Police Battalion 101 started its monstrous activity in the Zamość region. 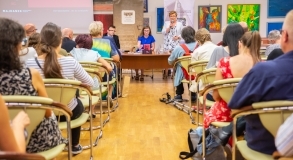 On June 20, 2018, in the Voivodeship Public Library of Hieronim Łopaciński in Lublin, we promoted a new edition of Jerzy Kwiatkowski's memoirs. 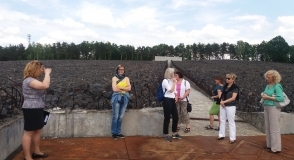 The last free museum lesson in the State Museum at Majdanek before the holiday season took place on June 19, 2018. The lessons were a part of the Ministry of Culture and National Heritage programme called ‘Accessible Culture’. 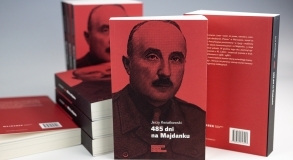 73 years after the creation of the original typescript, we are releasing without the censorship or any deeper editorial changes the third edition of memoirs written by a Polish political prisoner of KL Lublin. 485 days at Majdanek is one of the most important reports that concern the functioning of the camp. The book will be launched on June 20, 2018, at 5.00 p.m. in the Voivodeship Public Library of Hieronim Łopaciński in Lublin. On June 4, students from the Primary School and Middle School for the Blind in Laski visited the State Museum at Majdanek. They took part in a museum lesson ‘Different lots - similar dreams. 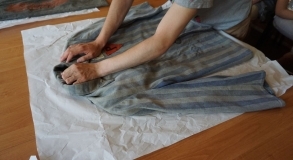 The prisoners and Majdanek concentration camp in the videos of history witnesses’ prepared by the Education Department. The14th of June has been established the National Remembrance Day for Victims of the Nazi German Concentration and Extermination Camps. 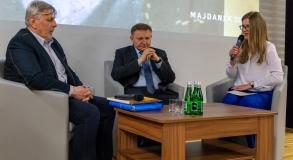 The State Museum at Majdanek will join its observances with two projects held on 14 and 16 June. In a downpour and flood of sunlight, the staff of five museums and the Municipal Council of Lublin competed on a pitch. 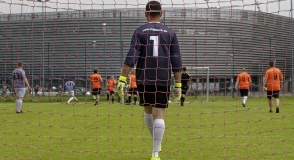 The 1st Football Tournament for Museum Staff took place on 2 June 2018 on a side pitch of the Arena Lublin. 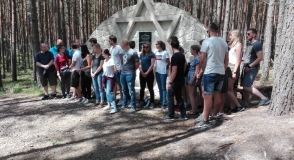 On June 4, 2018, on the 14th anniversary of the opening of the Museum – Memorial Site in Bełżec, the 2nd Workshop ‘History-Education-Memory’ was held. 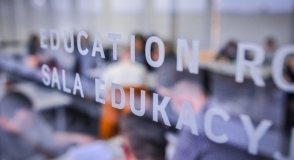 On 22-25 May we have hosted a Polish and German seminar for teachers called "Extracurricular education at memorial sites in Poland and Germany". The seminar resulted from a cooperation between the State Museum at Majdanek and House of the Wannsee Conference in Berlin. Former prisoners of German concentration camps left the wires of a KZ physically and mentally exhausted. As a result of severe stress and trauma, they suffered from the so-called KZ-syndrome, or post-traumatic stress disorder. On 24 May, we organized a meeting aiming at explanation of the syndrom and its influence on the fates of families of former prisoners. The next ebook is now available in our museum bookshop. Publication “Zur Pädagogik der Erinnerung. Bedingungen, Ziele und Methoden historischer Bildung in Gedenkstätten“ [Pedagogy of remembrance. Determinants, aims and methods of historical education in memorial sites], ed. Tomasz Kranz, is intended for museologists, teachers and other persons involved in social and political education.